Through our Doors walk the world's best pipers and pipe bands. They are our customers and we thank them. Welcome to Wee Hoose of Supplies! Wee Hoose has always been your place for bagpipe supplies and now Wee Hoose is back under the management of Pipe Major George W. Martin and his wife and bass drummer, Ann Marie. Wee Hoose offers quality merchandise at affordable prices worldwide. Wee Hoose has Bagpipes, Chanters and Smallpipes made by J. Dunbar, Peter Henderson, R. G. Hardie, Gibson, McCallum, C.E. Kron, David Naill, R.T. Shepherd, and John Walsh. All are offered in a variety of styles from Blackwood to Silver. All pipes can be customized and ordered online or over the phone. For your other piping needs, Wee Hoose carries all your favorite reeds made by Kinnaird, Ross, EzeeDrone, Crozier, Shepherd, Warnock, McCann, Caldwell and more. We also offer bagpipe accessories by Highland Pride, Highland Reeds, Bannatyne, Piper's Pal, Airstream, and Korg just to name a few. At Wee Hoose, you'll find music books of traditional and contemporary scores as well as many Pipe band, Piobaireachd, and Solo CD's all arranged by some of today's most well-known bagpipers. 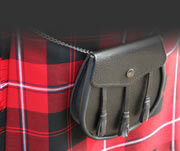 And when it comes to Highland wear, Wee Hoose of Supplies can outfit you or the entire pipe band. Wee Hoose also does minor repairs on pipes as well as kilts. 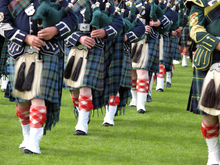 Interested in Learning the Bagpipes? We have many practice chanters made by J. Dunbar, Tru-tone, John Walsh, and McCallum just to name a few. For the best bagpipe instruction, we recommend that you work with a teacher. Our Catalog Is Being Updated! We are in the process of updating our Books catalog. Look for a new Catalog in a few days. The new one will have books sorted by Book Name AND by Author to make it easier for you to find what you're looking for!